"A delight to all who enjoy the American language." -- The Christian Science MonitorLandlubbers use a remarkable number of terms and expressions that originated at sea, from "casting about" and "learning the ropes" to "parting company," "spinning a yarn," and "going by the board." 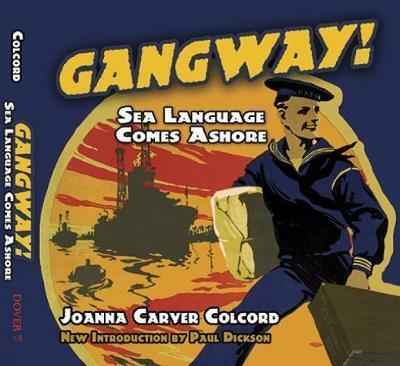 This readable dictionary of maritime vernacular offers concise explanations for the seagoing meanings behind "catspaw," "kick the bucket," "kittle o' fish," "palaver," "three sheets in the wind," and other curious lingo. Joanna Carver Colcord (1882-1960) was born in the South Seas, aboard a ship captained by her father. She spent her youth sailing the world's oceans and her adulthood as an executive of various philanthropic organizations.